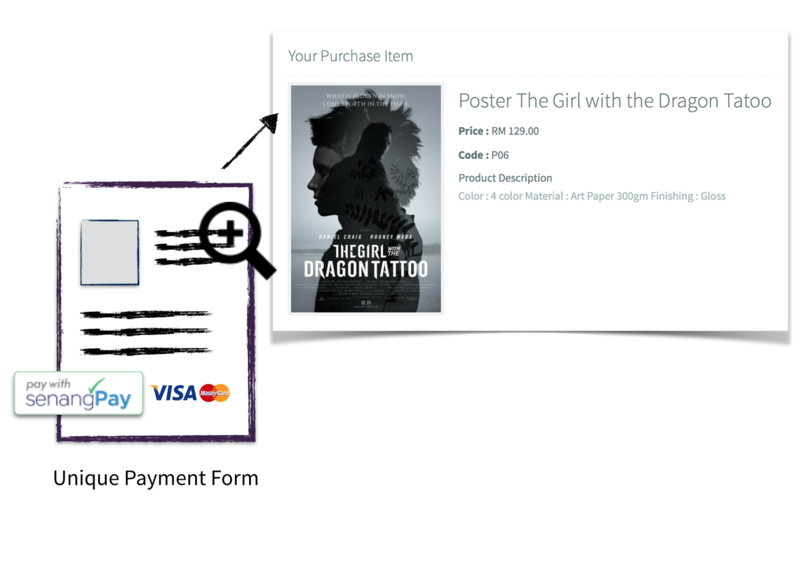 A Universal Payment Form which allows your buyer to key in the product themselves, together with the price of the product. No fix product and no fix amount. 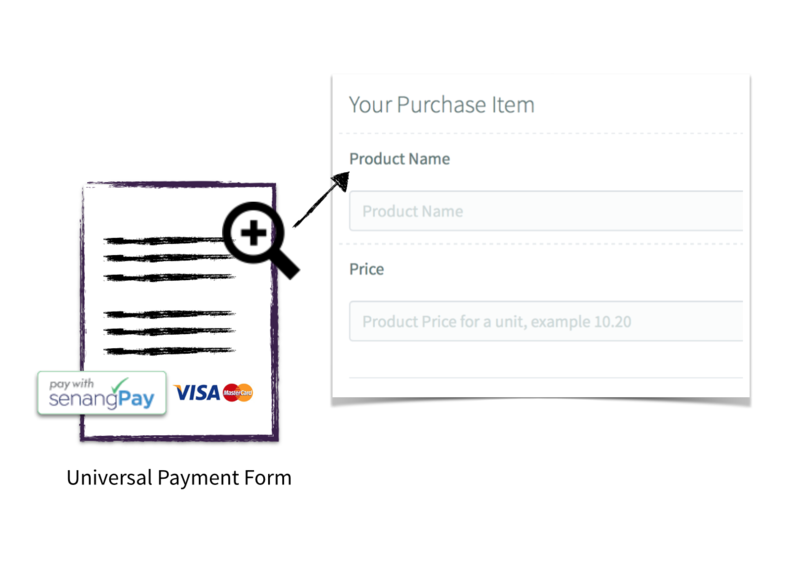 A Unique Payment Form allows you as the business owner to add more than one specific product, and let you monitor each product transaction separately. Integrate with your existing shopping cart if you already have one. Currently we support WooCommerce, OpenCart, Prestshop and Drupal Ubercart. For non-supported shopping cart, we have our OPEN API for you or your developer to integrate. If you want to skip the developing phase and integration part, those programming stuff that gives none other than only a headache, you can opt to a ready monthly / yearly subscription online store. Pay and use method. Currently we support EasyStore. If you want to integrate senangPay with your own system, we have a standard OPEN API for your integration. 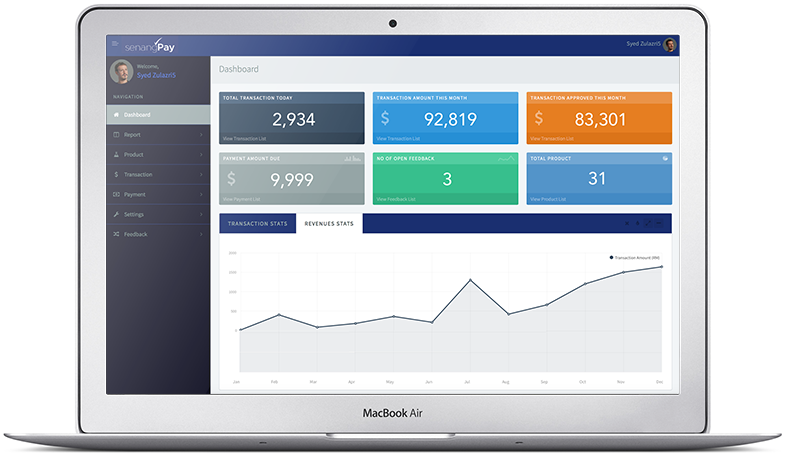 An access to the Dashboard where you can monitor your sales, transactions, settlement payments, settings and support tickets. This Dashboard is made responsive even to any mobile phone for you to access on the go.